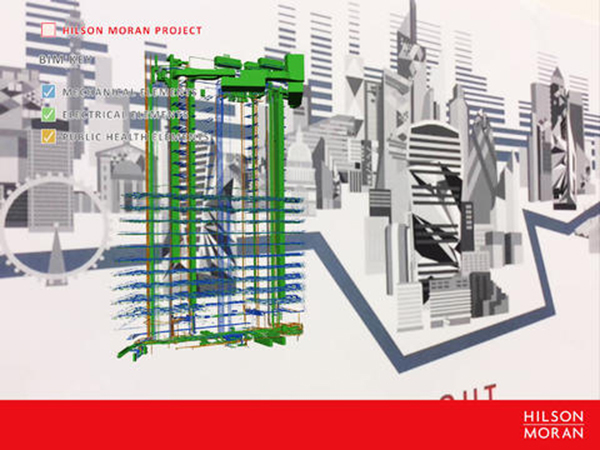 Leading engineering firm Hilson Moran wanted a way for them to use interactive technology to ‘stand out’ from their competitors both at international property expo MIPIM and on the App Store. 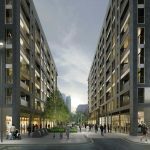 As a multidisciplinary consultancy for the built environment, Hilson Moran was keen to embrace the latest digital communications technologies to showcase their innovative & comprehensive building solutions. 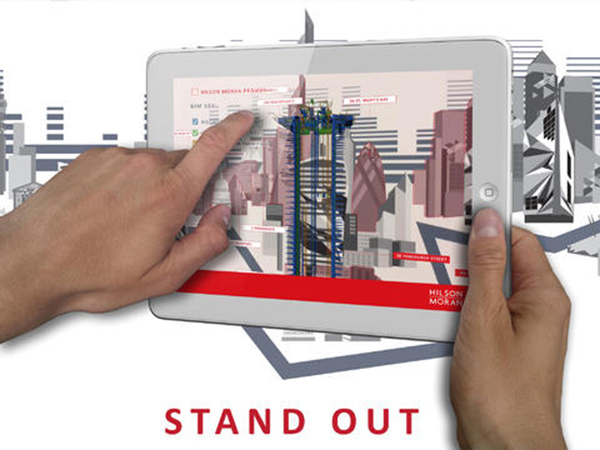 We created ‘Stand Out’ an augmented reality app which allows users to explore the world of 3D Building Information Modelling (BIM). 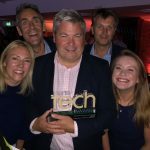 The app helped overcome Hilson Moran’s continuous marketing challenge – the fact that its prestigious work in London high-rise real estate is hidden from view. 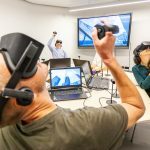 With ‘Stand Out’ the augmented reality helps illustrate what goes on behind the façade of a building, the entire internal workings of a tower in an augmented reality environment, an absolute first, using both 2D overlays and 3D geometry. Stand Out’ was unveiled at MIPIM with the ‘big reveal’ of the large augmented reality geometry set popping onto the tracker provided a ‘wow factor’ for their existing and potential clients.